Tens of thousands of Armenian Christians gathered in California and Idaho Sunday, calling for justice, on the 101st anniversary of the Armenian genocide, which President Barack Obama chose to call "mass atrocities." Some in the crowd of about 60,000 that rallied at the Turkish Consulate on Wilshire Boulevard in Los Angeles on Sunday afternoon chanted "Get your hands off our land!" while others shouted, "Eastern Turkey is western Armenia!" according to Los Angeles Times. In Twin Falls, Idaho, several others gathered at City Park to commemorate the anniversary, according to KMTV. "Forget me not. That's exactly what we are doing. 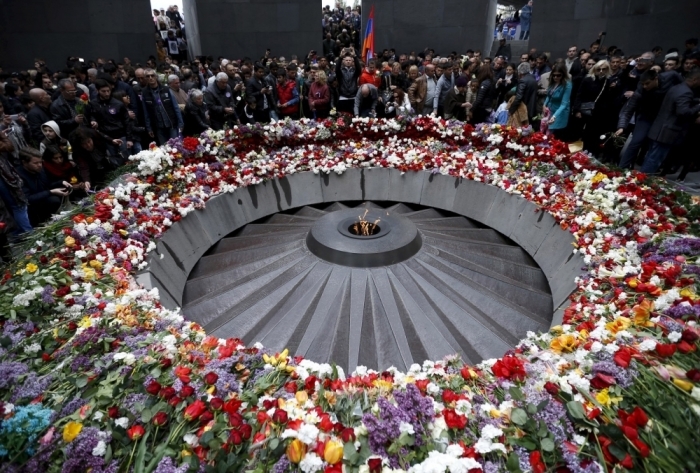 We will never forget that," Svetlana Movsesyan, an Armenian, was quoted as saying. "It affects everybody when we have a sort of tragedy like this so it's important that we come together and make remembrance of such events," Father Michael Habib of St. Ignatius of Antioch Church was quoted as saying. "Forget culture, forget religion. As people we need to support one another. Especially in times like this." April 24, 1915, marked the beginning of the Armenian genocide, which refers to the Ottoman Empire's alleged systematic extermination of its minority Armenian subjects in their historic homeland within Ottoman Turkey and of those who lived in other parts of the territory constituting present-day Turkey. About 1.5 million people were killed in the genocide, according to estimates. 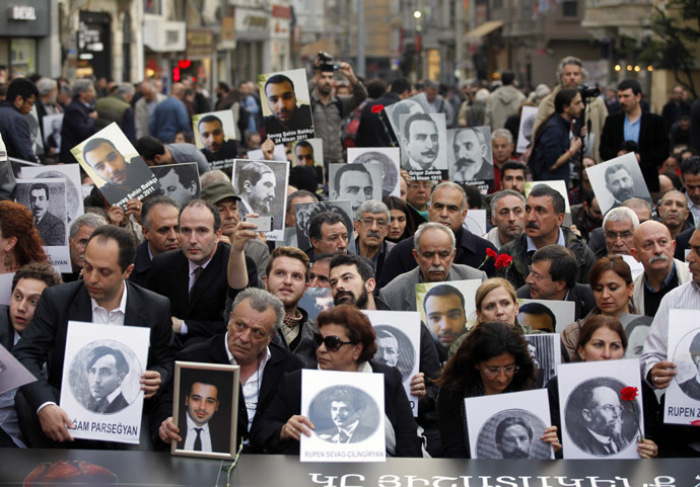 Armenians want the world to recognize the mass killings and forced relocations as genocide. Some historians see the genocide as a precursor of genocides the world witnessed later, including Adolf Hitler's killing of European Jews and other groups decades later. While more than 40 U.S. states have recognized the genocide, Turkey is a close U.S. ally in the Middle East, and President Obama chose not to mention the word genocide when his office made a formal statement on the anniversary. "Today we solemnly reflect on the first mass atrocity of the 20th century — the Armenian Meds Yeghern — when one and a half million Armenian people were deported, massacred, and marched to their deaths in the final days of the Ottoman empire," the statement read. "As we honor the memory of those who suffered during the dark days beginning in 1915 — and commit to learn from this tragedy so it may never be repeated — we also pay tribute to those who sought to come to their aid." The Wall Street Journal quoted a senior official from Obama's administration as saying: "The president has consistently stated his view of what occurred in 1915, and his views have not changed. The president and other senior Administration officials have acknowledged as historical fact and mourned the deaths of 1.5 million Armenians who were massacred or marched to their deaths in the final days of the Ottoman Empire. They have stated that a full, frank, and just acknowledgement of the facts is in our all interests, including Turkey's, Armenia's, and America's."